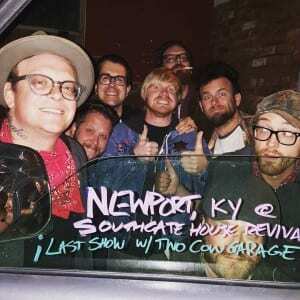 Photos from Fall Tour 2015 with Two Cow Garage. Thanks to our tour mates for taking good care of us, plus everyone who hosted us, fed us, and extra special thanks to the crew making Fest in Gainesville such a rad thing. Hope to see you back next year! Tour graduation day. Thanks Pat Downing for the photo! We’re heading on tour to play FEST on Halloween Weekend, click to hear an EP of terrifying tunes for the trip! It’s free to download through Sunday – or add a tip to help us fill the gas tank. Tour kicks off October 9th at Subterranean in Chicago. Get your tickets here! 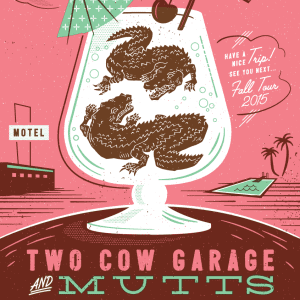 Our Fall Tour kicks off next month! Packing into our ’94 Ford sans A/C, we’re heading down to FEST 14 in Gainesville via many new cities & some of our favorite stops. We’ll have lots of new music and merch, including the above tour poster design by Ryan Lynch on screen prints, so keep in touch for updates on that. 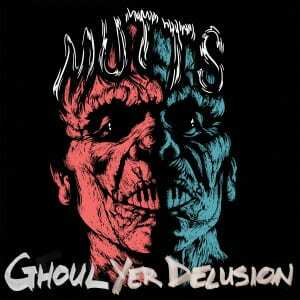 Follow Mutts on Bands In Town, SongKick, or subscribe to Facebook events in your area. 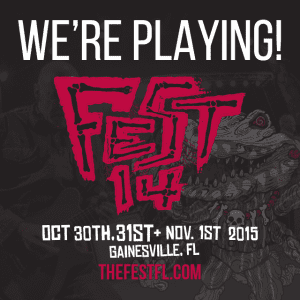 This fall we’re headed down to Gainesville, FL to play at The Fest! Very excited to be a part of Fest 14, which also includes Lagwagon, Desaparecidos, Iron Reagan, our homies Felix Culpa, and our tour mates for October & November, Two Cow Garage. Video of “Five of a Kind” from the Audiotree showcase in Austin, SXSW 2015.